Need more leads? Trying to attract a wider audience? The key is a cohesive digital marketing strategy. Most times when I’m invited to do consulting or a digital marketing audit, one of the first findings is that the marketing is splintered. What is done on Facebook is not connected to the strategies used on the website, or what is tweeted has no connection to lead capture initiatives on the website, etc. It’s essential to get that corrected! The online digital and inbound marketing strategy for a business needs to be integrated and cohesive, with all parts working in sync. One of my goals is always to make the complex simpler, and one way I do this is by keying on the three key elements, or funnel parts, that are central to organizing the digital marketing plan. By keeping these three elements as the overarching guide, it provides a framework for everything else. 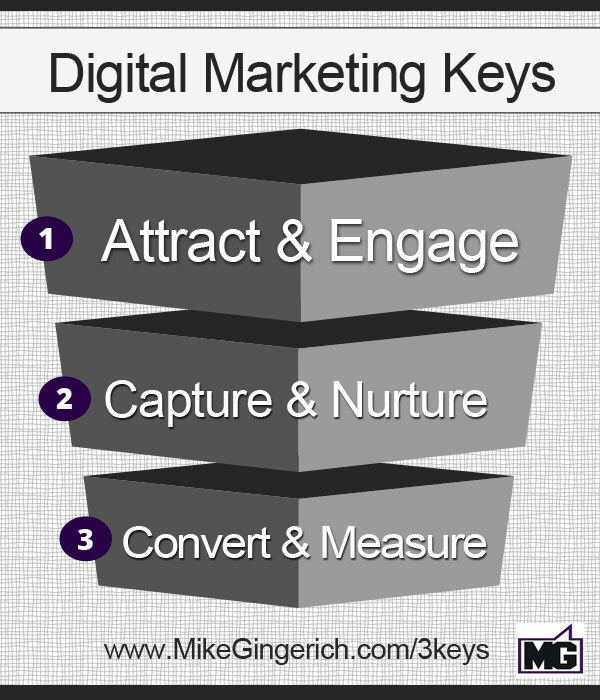 Each of the three keys has two parts, so in total they create the 6 steps that make up the Digital Marketing Funnel that I use in client marketing initiatives. I’m going to dive into the 3 keys here, because as busy marketers this is the foundation, and if you build within these three arenas, you’re going to have a complete digital funnel strategy. These three elements are the building blocks and they provide a simple and “doable” framework for owners and marketers to use when setting, planning, and executing their digital strategy. This is the top of the funnel and should comprise 50% of your content strategy. When I say “content” I mean blog content as well as social media posts, videos on YouTube and Instagram, podcast episodes, and images on Pinterest, Instagram, and other social networks. Each of these items is a form of content. You do not need to do all of these! You need to do the content forms that help you connect best with your audience and fit your company. Your website /blog is your foundational online asset, so use that as the starting point and primary core component for your content creation efforts. Attraction and Engagement content needs to be broad, searchable, geared to do just what it says, “attract and engage,” and relevant. This is where you are seeking to grow your audience by reaching out, “planting seed and watering” or put another way it is “chumming the waters” to attract your desired audience. This is not the harvest! It is content that is helpful and serves your audience. It is NOT product specific to your business. Think of it as “chumming the waters” prior to fishing for sharks. It draws in a crowd and gets them excited about your site and the nuggets you are providing, prior to the actual fishing with baited hooks. This post itself is an example of “attraction content”. I’m simply offering you guidance and help, that can assist you to begin thinking through your digital marketing efforts and needs. Simple post having fun at the place of business! It begs to be watched and received a lot of interaction. Connects a large media event, the Oscars, with the organization’s focus. Fun. Creative, Engaging. Look at the number of Shares! Neither post is a hard sell at all. 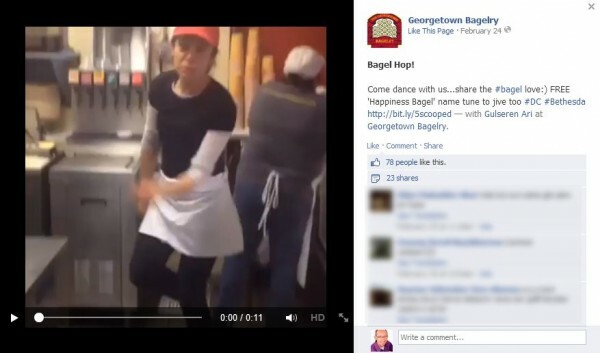 The first is just a fun video of an employee at work dancing a little jig! 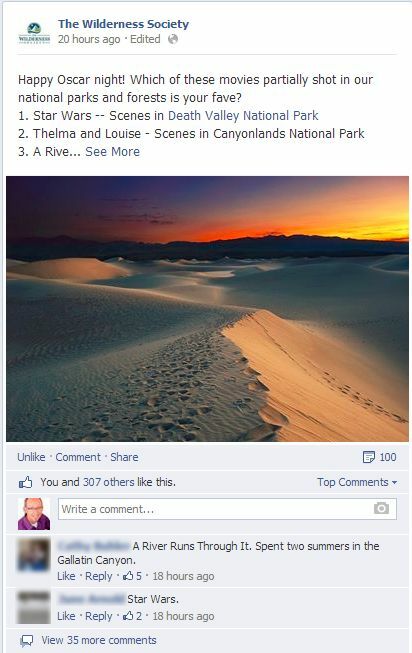 The second post is a great way to connect a major event, The Oscars, to the organization and invite engagement. This is not “salesy”, but it personalizes the business and is a great social connection that attracts interest and interaction. The big bonus and key is that by doing this it is getting great comments and reach, both of which help extend the reach of the Page to other people on Facebook, which is the goal! This helps the Page reach more friends of fans and it helps increase the potential of future posts from this brand being in the News Feed of those who engaged with this post. The second pillar is Capturing Leads and Nurturing Leads. It’s all about leads! The more you attract, the more leads you have potential to get, the more leads, the more you can grow sales. This is mid-funnel content, which serves to move visitors into the lead funnel, and from an unknown fan to a known lead. 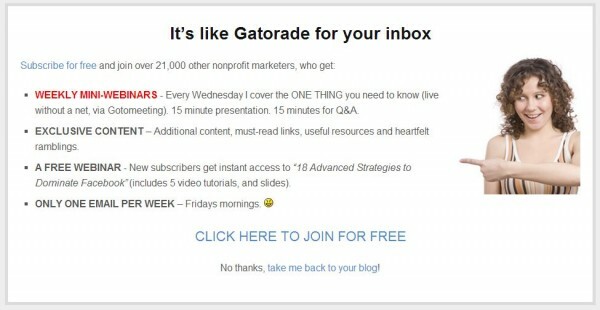 This type of content offers something useful and of value in exchange for a simple name and email sign-up. It can be access to a eBook, a video, a podcast, or a resource related to your products and services that that those interested in your offering would find of value. The opportunity it provides a business is the ability to grow their email list, through which nurture campaigns to educate and ultimately offer a opportunity to buy can occur. The value is that these can be setup once and then run continuously to reach hundreds and even thousands of visitors. Below is an example of this related value exchange. 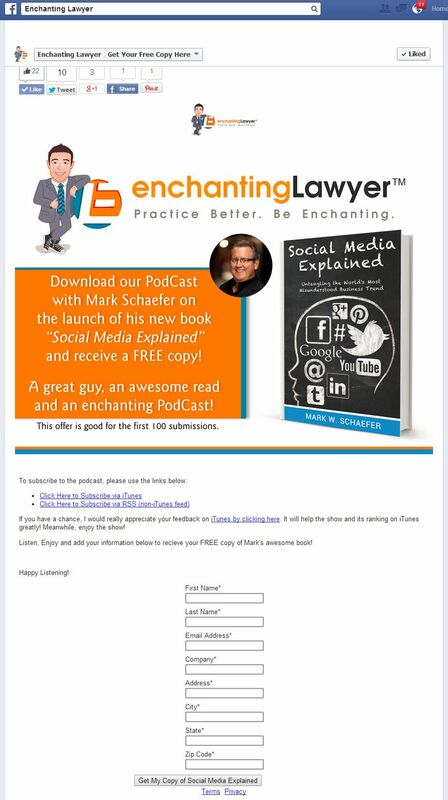 The Facebook Page “Enchanting Lawyer” helps law firms understand and grow their practice with Social Media. One of their latest offerings is a weekly podcast and the Facebook tab offer blends these together by offering a free book on Social Media by the author interviewed on the latest podcast episode. This drives awareness of the podcast while also growing the Enchanting Lawyer email list! Brilliant! Once these email addresses are captured, an automated email nurture campaign should be launched which again fits within the 3 Key Element strategy outlined here. Start with helpful information that builds trust and educates, moving to a offer only after the fifth or sixth resource email over a 5-8 day sequence. The final element of the 3-pronged content strategy to plan for is the “closure content” or specific sales offer content. This will likely be only 15-20% of your overall content plan mix. If it is more than that, your audience can get turned off from continual sales pitches, particularly on social media sites, but if you are adhering to the content strategy above then your audience will be ready for these timely and specific offers to purchase. What happens in the top of the funnel is discovery and initial awareness. Then additional touch points are created with more content that is attraction and engagement based, along with helpful resources in the mid-funnel that prepares the ground for the sales offer. Now that trust has been built, and education and understanding has been accomplished, the potential customer is now ready to consider the offer to buy. The key in specific sales conversion offers is to answer their final questions, and if at all possible to demonstrate the ROI potential to them clearly so they can see how their financial position can be improved by this purchase. The offer should seek to remove final barriers, being concise, and eliminating unnecessary distractions. This can be as simple as having a landing page with the information and clear call-to-action button on your website, or a concise offer in a email. It should not be surrounded by other links and information. Here’s one example of a landing page below. This is the sum total of everything on that web page. There is no extra navigation, no footer links, no sidebar, simply the offer. When done well, this will be a seamless process where no hard sell is needed, but simply the offer to take a next logical step with your business. How can you evaluate all of this? Measure. You need to take the time to review metrics at each phase. Your google analytics that should be on your website is the the most basic tool to use. Look at traffic. Is it increasing? Where is your traffic coming from? Is your social posting plan increasing engagement and interaction in your blog comments and on your posts? Facebook Page Insights and tools like Buffer and Hootsuite for other posts can give owners and marketers the reports they need on their digital post mix to help determine what needs tweaked, what worked, and where to go from here. So that’s it! Keep the 3 Keys in mind as your foundational funnel components! It’s often the most eye-opening for businesses to recognize the importance of the Attraction and Engagement content. This “top-of-funnel” content is critical to getting the increase in views that are needed to grow the leads and ultimately convert more business. What’s your first doable step you need to implement? How about pinning and printing the 3 Keys below!